Ready-to-use solution of Ferrous Sulphate. Product has been filtered during production to enable use through sprayers without clogging nozzles. Easy to use and user friendly – Eliminates the need to dissolve ferrous sulfate powder. No mess, no fuss. Liquid application allows more accurate treatment and helps to prevent burning grass commonly found when using dry powder. 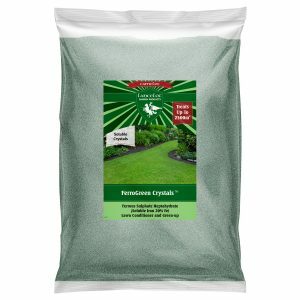 Produces healthier, greener, tougher grass and is the ideal conditioner and tonic for lawns and turf – As well as the perfect treatment against Moss, Iron chlorosis and diseases. Very fast acting – visible results within a couple of hours – and within a few days, greener, healthier grass. It is the main active ingredient in many commercial moss killer products as it will will turn moss black. Test a small area with a 3% Ferrous Sulphate Heptahydrate solution (ie. 30mls/1L of water). If this does not give the desired effect a stronger solution can be used up to a maximum of 15% Ferrous Sulphate Heptahydrate (150mls/1L of water ). 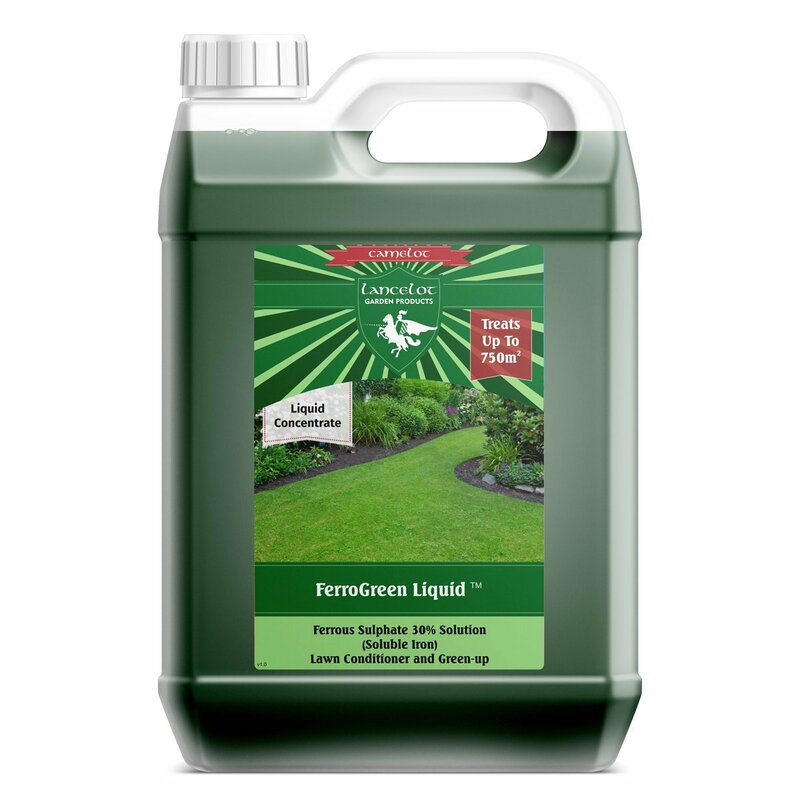 A typical application for greening of grass would be 30ml-60mls per Litre. Be aware that at dilutions of 150mls per Litre and higher, blackening of moss will occur. It is for this reason that Ferrous Sulfate is often included as an active ingredient in commercial lawn moss killing products. Over application of the product could also result in blackening of the grass itself. To reduce the pH of soil by 1 unit eg. to reduce a pH7 to a pH6 would require 6.75L to 13.5L of ferrous sulphate solution per 100sq feet of soil. This should be dug into a depth of 6 to 10 inches.As the acidiification occurs as the ferrous sulphate is biolologically degraded this can take several months so the process of acidifying is gradual. As it is important to avoid building up too much iron in the soil it is suggested that one should wait for 12 months before testing the pH again and repeating the process if necessary.